KSEA is now almost a half-century old, and we are grateful to our founders and successive leaders who have served the organization making KSEA a unique Korean-American entity in the US. Today KSEA has 70 chapters, branches, and next-generation chapters and 30 professional societies as partners in the US. 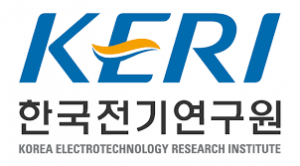 These 100 organizations annually host nearly 250 events in support of our three themes that embrace: (i) enhancing US and Korea cooperation in the science and technology fields, (ii) developing productive collaborations among KSEA members, and (iii) giving tireless community service to educate parents and our children. All of these events are accomplished through our dedicated spirit of volunteering. KSEA's flagship event, the US-Korea Conference (UKC), brings together approximately 150 Technical Group experts and volunteers across the US and 50 regional volunteers. It takes a lot of volunteering efforts to make UKC. We KSEA members create a miracle every year by executing so many activities. I am so honored to serve this organization as the 47th president, and I dearly appreciate all of the hard volunteering work that our members do in every corner of this country. My vision during 47th administration is to better equip KSEA with new ideas that can accelerate our growth. I will be requesting leaders of KSEA to bring new ideas that can potentially streamline operational workflow to lessen work for chapter presidents as well as better partnering with affiliated professional societies (APS).The world is changing rapidly on all fronts of the public, government, and industrial sectors, and KSEA should match the pace of the many changes. I propose to put in place designated directors who can take control of research development projects, sponsor-directed initiatives, grants, publications, non-profit based operations, and fundraising efforts. The Executive Committee will adapt and implement ideas and operations that best suit KSEA as we prepare for the future. In the era of the 4th industrial revolution, we will work ever more closely with KOFST, KUSCO, and many sponsors to optimize cooperative efforts and projects both in Korea and in the US. I foresee better collaboration between KSEA chapters and APS as we create more opportunities to interact on various events. I sincerely hope that all of our volunteering efforts will yield a better and stronger KSEA. I believe in the spirit of Korean-American scientists who always want to give more to our next generation. I am ever thankful that our young generation and professionals value the spirit that we have maintained for nearly 50 years. I am hopeful that our youth leaders will follow us to honor our footsteps and help KSEA to bring three generations together. KSEA is truly an amazing organization.I sincerely thank all of you for all of the volunteering efforts from KSEA leaders and members. Lastly, KSEA thanks our Head Quarter staff that handles many projects throughout the year.